Summer is in full swing and it has certainly been a scorcher here in Utah. If you’re anything like me, these extra hot days have you thinking a little harder about how to protect yourself from the harmful effects of the sun. While most of us would rather cannonball into the pool without slathering on that coat of sunscreen, a proactive approach is always best when it comes to skin care. Recent statistics reveal that one in five Americans will develop skin cancer in the course of a lifetime. With that in mind, here are a few tips to keep you and your family safe and healthy this summer. Basic Sun Safety. As much as you can, schedule outdoor activities to avoid the sun during peak hours. Generally, this is between 10 a.m. and 4 p.m. Remember to wear sunglasses, wide-brimmed hats, and protective clothing – cotton fabrics are ideal as they are made with a tighter weave that helps block UV rays. Sit in shaded areas or under an umbrella to stay out of the sun, while still enjoying the outdoors. Check your skin for any changes in moles or birthmarks. If you notice any changes in texture, shape, size, or color, visit a healthcare provider right away. Sunscreen 101. 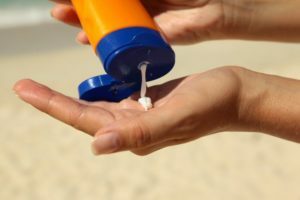 Experts recommend daily sunscreen use, whether you plan to be in the sun or not. Look for products that are labeled “broad spectrum protection” with an SPF of 15 to 50. Keep in mind that double the SPF does not mean double the protection – SPF 30 screens 97 percent of UVB rays while SPF 15 screens 94 percent of UVB rays. When planning outdoor activities, apply a generous amount of sunscreen to dry skin 15-30 minutes beforehand. Sunscreen should be applied to all skin surfaces that will be exposed to the sun – don’t forget those commonly missed spots, such as the ears, neck, back of the legs and top of the feet. Reapply sunscreen every two hours and immediately after swimming or heavy sweating, even if you’re using a product that’s water resistant. You can apply sunscreen to children as young as age 6 months. Keep younger children in the shade as much as possible or covered with protective clothing. Sunburn Care Made Simple. As much as we try to prevent sunburns, it happens to all of us. At the first sign of a sunburn, get out of the sun and follow these five easy steps. First, cool the burn with a quick dip in the pool, a cool shower, or by applying a cold compress to the area. Next, while skin is still damp, use a gentle lotion or aloe vera to moisturize the skin. Avoid petroleum or oil-based ointments as this can trap the heat and make the burn worse. Repeat this step to keep burned or peeling skin moist over the next few days. Third, taking a nonsteroidal anti-inflammatory drug (NSAID), such as ibuprofen, naproxen or aspirin, can help with discomfort and inflammation. Fourth, it’s vital to replenish your fluids – make sure to rehydrate by drinking extra liquids while your skin heals. Lastly, make sure to seek medical attention for prompt treatment of severe burns, symptoms may include: blistering, chills, fever, headache, confusion, nausea, vomiting, or blurred vision. With these tools, you’re ready to have a fun and healthy summer. Enjoy making memories with your loved ones and remember that sunscreen! 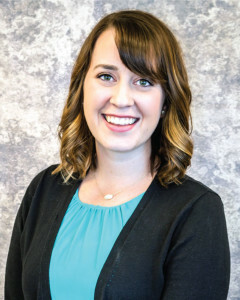 Jarah Nordin, FNP-C, is located at Exodus Healthcare Network, 3665 S. 8400 W. Suite 100, in Magna. She is now accepting new patients. If you have any questions or concerns that you would like to talk with Jarah about, call 801-250-9638 to make an appointment.